In his book "Still Surviving," Nanon Williams, who was 17 at the time of the crime that placed him on death row, provides a first hand account of living under a sentence of death in Texas. The book details Williams's journey from teenage boy to adulthood while living in the shadow of the nation's busiest execution chamber. His text introduces readers to the experiences of solitary confinement and having friends executed, as well as to maintaining relationships with those on the other side of the prison gate. (Breakout Publishing Co., 2003) Read more about Nanon Williams. See Books. A new poll conducted by ABC News revealed that only 37% of the public supports the death penalty for Lee Boyd Malvo, who was recently convicted of murder in Virginia. Malvo was 17 at the time of a series of shootings in the Washington, DC area. 52% of respondents preferred a sentence of life without parole for Malvo. Even stronger opposition to the death penalty for juveniles in general was revealed in the same poll: only 21% were in favor of the death penalty for juveniles, versus the 62% who preferred the sentence of life without parole. The poll was conducted Dec. 10-14 (ABC News, Dec. 19, 2003). See Public Opinion. On December 17, 2003, Murder Victims' Families for Reconciliation released a report regarding the perspectives of family members on the juvenile death penalty: "I Don't Want Another Kid to Die." The report opens a window into murder victims' families struggles with the death penalty in general, and more specifically, how the issue changes when the defendant is a juvenile. (Tom W. Smith, Director of the General Social Survey, National Opinion Research Center, Chicago Tribune, December 7, 2003) See Public Opinion. A gathering of Nobel Laureates in Rome concluded with a common statement calling for abolition of the death penalty and specifically decrying the death penalty for juvenile offenders. The statement noted "the death penalty is a particularly cruel and unusual punishment that should be abolished. It is especially unconscionable when imposed on children." Among those in attendance at the summit were Mikhail Gorbachev, former Israel Prime Minister Simon Peres, the Dalai Lama, Mairead Corrigan Maguire, Lech Walesa, Betty Williams, Jody Williams, Costa Rican President Oscar Arias Sanchez, and a number of organizations that participated in the summit. (Fourth World Summit of Nobel Peace Laureates, November 30, 2003). See New Voices and International Death Penalty. In this instance, the bending of the system began early. After the arrests of Muhammad and his teenage companion, Lee Malvo, Attorney General John Ashcroft seized control of the suspects. Though the pair had been caught in Maryland, where most of the killings occurred, federal authorities handed them over to Virginia for trial. One unvarnished reason was that Malvo was a juvenile. Maryland does not permit the execution of juvenile offenders. Virginia does. Shopping for the most pro-death judicial venue and then custom-fitting new and existing laws to ensure what Ashcroft calls the "ultimate sanction" make prosecutors and law enforcement officials look as if they were willing to go to great lengths Ñ and even stretch the law Ñ to achieve a death-penalty conviction. But twisting justice wasn't necessary to protect the nation and punish the criminal. Life without parole would have served equally well. The overzealous application of Virginia's death penalty laws means that Muhammad's case is likely to command the nation's attention through years of appellate maneuvering. Life without parole would have forestalled that tedious endgame without ever calling into question the integrity of the judicial establishment. (USA Today, November 25, 2003) See DPIC's report on the Politicization of the Death Penalty: "Killing for Votes"
type of evidence has to do with improved connection between the limbic system, which is deep inside the brain and which is where a lot of emotional stimuli are processed, and the prefrontal cortex, which is the center of decision-making activity. We believe, we don't know for sure, but we believe that this might lead to an improvement in decision making, so that, in the younger adolescent's brain, it's more likely that a very strong emotion will overwhelm rational decision making. Virginia's juvenile death penalty should not be abolished by a judge because the French object to it. But we hope that someday soon it will be abolished by the General Assembly because Virginians object to it -- and in that regard, international opinion is one factor worthy of consideration. . . .
[W]hatever one thinks of capital punishment, it ought not be applied to children, whose personalities and capacities for judgment are not yet fully formed. Government takes on, in general, a protective role with respect to children -- one that sometimes restricts their liberty and the liberty of adults in dealing with them, by way of keeping them safe. It is an abdication of that protective role for state governments, even in prosecuting terrible crimes, to respond to youth crime by seeking execution. To sentence someone to die for a crime committed as a child, one has to believe that -- in the long natural life the defendant would otherwise have before him -- meaningful change and some measure of redemption are either impossible or unimportant. (Washington Post, September 19, 2003). In a 4-3 decision to vacate the death sentence of juvenile offender Christopher Simmons, the Missouri Supreme Court ruled that the juvenile death penalty violates the nation's evolving standards of decency and is therefore unconstitutional. Noting that "a national consensus has developed against the execution of juvenile offenders," the Court's opinion cited evidence such as the growing number of states that have banned the practice. The Court resentenced Simmons to life in prison without parole. According to the current statute law in Missouri, defendants age 16 and over at the time of their crime can be sentenced to death. That law had been upheld by a 1989 U.S. Supreme Court decision. (St. Louis Post-Dispatch, August 26, 2003). Sixteen other states forbid the death penalty for juveniles. A new report by Amnesty International, "The Exclusion of Child Offenders from the Death Penalty Under General International Law," examines the evidence supporting the conclusion that the use of the death penalty against juvenile offenders is prohibited under customary international law. The practice is already prohibited by the Inter-American Commission on Human Rights and the U.N. Convention on the Rights of the Child. William F. Schulz, Executive Director of Amnesty International USA, notes that the U.S. claims to be "the global leader in child protection" while simultaneously holding the record for the highest number of juvenile offender executions in the world. (Amnesty International Press Release, July 18, 2003). Read the Report. American military officials say that a Canadian teen being held at Camp Delta in Guantanamo Bay, Cuba could be eligible for the death penalty. The 17-year-old boy was captured in Afghanistan last July and is accused of killing a U.S. medic during battle as a member of al-Qaida. After 18 months of imprisonment, none of the 700 detainees have been officially charged, but a review of their cases by President George W. Bush is pending. Some of the cases could involve capital charges, and officials note that the government is considering establishing a death row and an execution chamber at the camp for prisoners convicted by upcoming military tribunals. (Calgary Sun, June 4, 2003). According to a recent report issued by Amnesty International, Texas was the only jurisdiction in the world to execute a juvenile offender in 2002. Texas executed three black juvenile offenders last year, Napoleon Beazley, T.J. Jones, and Toronto Patterson. Amnesty International reports that seven countries since 1990 are known to have executed prisoners who were under 18 years old at the time of the crime - Congo (Democratic Republic), Iran, Nigeria, Pakistan, Saudi Arabia, United States, and Yemen. Of these nations, the United States has executed the largest number of juvenile offenders. Read the report. The University of Oklahoma poll also found that 49.3% of those polled favored a moratorium on executions in the state so that a study of capital punishment can be done, and 83.5% of respondents either somewhat agree or strongly agree that the state has probably executed an innocent person. The juvenile death penalty has come under increased scrutiny in recent months. 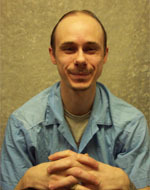 In a dissent authored after the Supreme Court's decision to not grant a hearing to juvenile offender Kevin Stanford, Justice John Paul Stevens, joined by three other Justices, wrote, "All of this leads me to conclude that offenses committed by juveniles under the age of 18 do not merit the death penalty. The practice of executing such offenders is a relic of the past and is inconsistent with evolving standards of decency in a civilized society. We should put an end to this shameful practice." In 1944, a 14-year-old boy named George Stinney Jr. was executed in Clarendon County, South Carolina. Stinney was one of the youngest persons to be executed in the United States in the 20th century, and his electrocution shocked many people around the country. In addition to the controversy surrounding the execution of a juvenile, Stinney's case was also disturbing because of the poor representation he had received.